Want to connect with Aleksandr? Math, Geometry, Physics, English, History, Paper writing. Architectural conceptual design, Interior conceptual design, AutoCAD, Rhino, 3d Max, Revit, Photoshop, 3D Computer and physical (wood) model making, Concepts of Laser cutting, 3D printing, Architectural papers, Architectural English, Portfolio Development, Help with Structural Courses. 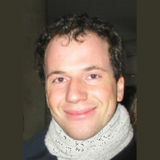 Alex is Pratt Institute Alumni, with a gift of tutoring with 18 years of Experience tutoring. My goal making a world a better place by helping one student at a time. Tutoring is provided Online, At home, at Pratt Institute or at an agreed location.